I am a MASTS funded PhD student based in the Sediment Ecology Research Group. 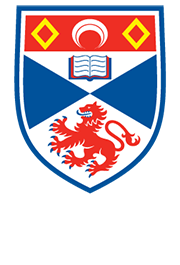 I am co-supervised by Prof David Paterson and Dr Claire Golléty at the University of St Andrews and Prof Nick Hanley at the University of Stirling. My project focuses on the conservation and restoration of saltmarshes. Through comparing the biodiversity and ecosystem functions for natural marsh sites, mudflat and managed regeneration sites over time I hope to be able to see whether there is a common development trajectory. My principle study site is the Eden Estuary where regeneration sites have been transplanted at intervals between 2003 and 2014. I will be assessing whether the regenerated sites are able to develop similar biodiversity and ecosystem services to the natural site with the aim to be able to better advise managers and policy makers on the conservation and restoration of marshes. One of the most important ecosystem services that saltmarshes offer is that of coastal flood defence. I am interested in what people's preferences are for different types of coastal flood defence. I am also interested in how much people are willing to pay for different types of coastal defences and how this compares to the actual cost of installing the flood defences. Prior to starting my PhD in February 2012 I completed an undergraduate degree in Environmental Sciences at the University of Southampton and a postgraduate Masters in Marine Ecology and Environmental Management at Queen Mary, University of London. I have also worked for The Green Blue, an environmental programme aimed at educating recreational water users and associated clubs and businesses.